Ezra Klein leaves the Washington Post. 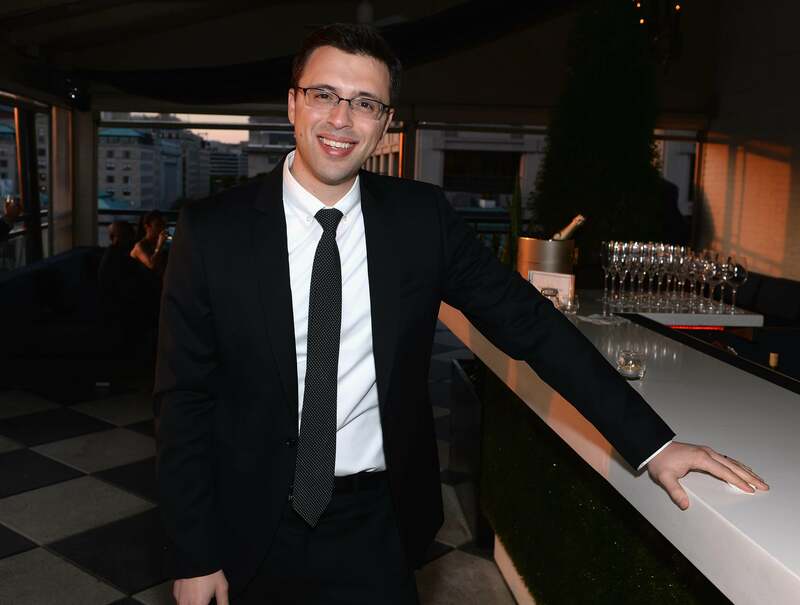 It’s been the talk of the notorious D.C. cocktail party circuit for a month, and now it’s official: Ezra Klein will leave the Washington Post after five years on staff. The paper decided not to invest in a massive expansion of his Wonkblog, which has grown to include eight reporters, a spinoff (the Switch), live events, and a morning newsletter. Klein, who’d found other sources of capital, would split, taking (for now) two WaPo staffers with him. The rumors had raised some temperatures in the newsroom, and you can feel that as you read the official memo. When Ezra joined us in 2009, he was a wunderkind blogger with brash confidence and a burning desire to write a column in the print newspaper. As he leaves us, Ezra is still a brash wunderkind, but now his burning desire has a grander scope: He is looking to start his own news organization, an ambition that befits someone with uncommon gifts of perception and analysis. Klein was 24 when he joined the paper, and is 29 now, around the same age as star political reporters Philip Rucker and Robert Costa, star columnist Clinton Yates, and star Style writer Dan Zak. Rucker and Zak actually joined the paper before Klein did. I mention them to emphasize how much talent there is at the paper, and to emphasize a “whuh?” at the use of “brash wunderkind.” Intentional or not, that’s easily read as a diminution of a reporter/columnist who helped expand the paper online. But this narrative leaves out an oft-forgotten WaPo whiff—the departure of Susan Glasser, the paper’s national news editor who was removed due to “low morale” (the Post had just won six Pulitzers) and sent to Foreign Policy, at the time another WaPo product. Glasser turned FP into a real powerhouse, until she was head-hunted by … Politico, to start its magazine. Washington, for all its bluster, obsesses over stuff that makes its hometown paper look foolish. For years, it looked like the NYT had figured out how to keep talent by expanding its platforms—Andrew Ross Sorkin’s DealBook, for example—while the WaPo kept losing stars. That changed last year, after Nate Silver left the NYT for ESPN, and after “All Things D” spun off from the Wall Street Journal—the talent bleed started to look endemic to all newspapers. Still, it’s remarkable that the newspaper that had been burned twice in the past eight years in exactly this way didn’t find a way to hang on to Klein. **I have a pretty good sense of which investors, but am waiting for full confirmation. *Correction, Jan. 21, 2014: This post originally misspelled Robert Allbritton’s name.